By submitting this Service Agreement (hereafter “Agreement”) online, sending via fax or requesting via email, Customer ( hereafter “you” or “your”) understands and agrees that they are hiring the services of Safe-Direct Car Shipping DBA Ship a Car Direct (hereafter “Ship a Car Direct”) , a licensed & bonded transportation brokerage (MC#632461), to arrange the shipment of their vehicle(s) with a Contract Carrier (hereafter “Carrier”). They further have read, understand and will abide by the following terms and conditions. Carrier requires you to prepare your vehicle(s) for transport by disarming any alarm systems and/or providing necessary remotes for alarm systems, and removing or retracting all loose and/or protruding accessories from your vehicle(s). Your vehicle(s) is/are considered in operational condition and must be able to be driven onto and off of the carrier under the vehicle’s own power at all times during shipment unless clearly noted on your order as ‘In-op’ or ‘Non-operational’. Non-operational vehicles must roll, brake and steer. Vehicles that are non-operational or become non-operational during shipment, for any reason, will be subject to an additional, industry standard, non-operational fee of One Hundred and Fifty Dollars ($150.00). You agree and understand that your vehicle(s) must be free of contents as neither Ship a Car Direct nor Carrier are licensed to handle the transportation of “Household Goods.” Damage to, loss of or fines levied to Carrier resulting from any unauthorized contents present in the vehicle during shipment are the sole responsibility of the Customer. Your total price for the transportation of your vehicle(s) is factored using numerous pieces of information including, but not limited to, the size and/or weight of the vehicle(s). Misrepresentation to Ship a Car Direct of the vehicle(s) size and/or weight may result in additional fees and/or the cancellation of the order. Orders canceled due to misrepresentation of the vehicle(s) will forfeit any service fees that have been previously paid. It is your responsibility to ensure that the vehicle(s) is/are ready to be released to the chosen Carrier by the projected pickup date given on the order. Failure to release the vehicle(s) to the chosen Carrier on or after the date given by you when placing your order may result in a ‘Dry Run’ Fee. Industry standard for a ‘Dry Run’ fee is One Hundred Dollars ($100.00). You may request a specific pick up date, but due to the nature of the industry, you understand that such dates are ‘requests’ only and cannot be guaranteed. Once a Carrier is assigned to your vehicle(s), you will be given the estimated dates of pickup (and delivery when possible) as well as the Carrier name and direct business phone number. Any dates given are the Carrier’s projections only and are given solely to assist both you and the Carrier in the general arrangement of your schedules; dates given are not guaranteed, as certain conditions can alter a Carrier’s schedule (i.e. weather, road conditions, mechanical problems, etc.) As such, you agree to hold Ship a Car Direct harmless for any expenses incurred as the result of any delays, including, but not limited to, any car rental fees or living accommodation expenses you incur. It is strongly recommended that you maintain reasonable contact with the Carrier and/or Ship a Car Direct to stay up to date on any schedule changes. Ship a Car Direct will not charge a Deposit, which constitutes Ship a Car Direct's Service Fee, until a Carrier is assigned and confirmed to pick up, transport and deliver the vehicle(s) listed on your order. Once the selected Carrier’s information is provided to you, the Service Fee/Deposit charged by Ship a Car Direct is due and payable. Any Service Fees/Deposits due to Ship a Car Direct but not paid by the time the vehicle(s) is/are loaded onto the selected carrier will become past due. You will be granted a 24 hour grace period from the time of pick up to settle any past due amount. Amounts beyond 24 hours past due may be assessed a Twenty Five Dollar ($25.00) past due fee that will be added, along with the past due amount, to the Carrier’s balance due amount and collected by the Carrier before the vehicle(s) will be released at the delivery point. Carrier will contact you by phone at the numbers you provided, in order to schedule an appointment for pickup and delivery of the vehicle(s). It is your responsibility to verify that all contact phone numbers given to Ship a Car Direct and subsequently to the Carrier are correct. In the event that you are unable to meet the driver for an appointed time for pickup or delivery, you may designate an Agent on your behalf to release and/or accept the vehicle(s). You understand that if neither you nor your Agent is able to accept and/or remit proper payment for the vehicle(s) on delivery at the destination, the vehicle(s) may be stored in a facility chosen by the Carrier at your expense. If the Carrier is unable to access the pickup or delivery addresses provided by you, you agree to meet the Carrier at a nearby location, in order for the Carrier to safely pick up or drop off your vehicle(s). In the alternative, you will allow the Carrier, at their discretion, to hire a local service, (i.e. flatbed) or use other means, at the Carrier’s expense, to assist the Carrier in providing ‘door to door’ pickup or delivery. Payments for the balance due to the Carrier must be made on or before delivery of your vehicle(s), unless payment on pickup is pre-arranged. The Carrier only accepts Cash or Cashier’s Check for payments made directly to the driver upon delivery. It is your responsibility to verify the Carrier’s preferred method and/or the proper spelling of their Company’s name for such payment. You agree and understand that when the Carrier accepts and transports your vehicle(s), they will perform a vehicle inspection and provide a report (aka “Bill of Lading”) at the origin. You should not, under any circumstances, release a vehicle to a Carrier without a vehicle inspection report. This Agreement is subject to all of the terms and conditions of the Carrier's straight bill of lading and any liability exclusions contained in it. You and Carrier, or your Agent and Carrier, are both required to sign and verify the initial vehicle inspection report. Failure to do so could result in your inability to process a damage claim. Carrier assumes responsibility for any damage not noted on the initial vehicle inspection report from that point, and throughout the transportation period, until the vehicle(s) is/are delivered at the agreed destination. Ship a Car Direct has no responsibility or liability for any damage to the vehicle(s) during transport or at any other time. You and Carrier, or your Agent and Carrier, must thoroughly inspect the vehicle one final time upon delivery and both must sign the final vehicle inspection report. In the event there is damage during transport, You or your Agent must note those damages on the final vehicle inspection report, pay the remaining balance due for the shipment of the vehicle(s) that is stated on the Carrier contract and then contact the Carrier's main office and, subsequently, their insurance company. Failure to note any damage on the final vehicle inspection report releases the Carrier of liability and could result in your inability to process a damage claim. All Carriers selected by Ship a Car Direct are required to maintain the requisite insurance to protect your vehicle(s) during transport to the destination. You may, at any time, request and receive from Ship a Car Direct, a copy of the Operating Authority as well as the Insurance Certificate for the Carrier selected for your order. Copies of the Carrier's direct bill of lading may be obtained from the Carrier's driver and/or their main office at the phone numbers provided. Prior to releasing your vehicle(s) to the selected Carrier, you are further granted the right and ability to refuse the service of the selected Carrier based on this or any other information and to request to be set up with a different Carrier by Ship a Car Direct. Upon releasing your vehicle(s) to the Carrier selected, you acknowledge your approval of the selected Carrier and accept the service from Ship a Car Direct to be complete. Ship a Car Direct "Guarantees" the insurance coverage of the Carriers, pursuant to the following limitations: If there is damage to your vehicle, but the Carrier and it's insurance company fail to pay the claim (outside of the Carrier's or insurance policy's standard exclusions) on damage that was clearly caused by the Carrier, requiring you to file a claim with your own insurance company, Ship a Car Direct will reimburse you, up to a maximum of Five Hundred Dollars ($500.00) in order to cover your out-of-pocket deductible. So, if you file a claim under your insurance policy and your deductible is $500.00, upon acceptance by Ship a Car Direct, you'll receive $500.00. If your deductible is $250.00, upon acceptance by Ship a Car Direct, you'll receive $250.00. 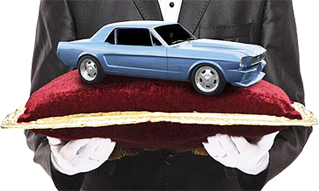 If your deductible is $1000.00, upon acceptance by Ship a Car Direct, you'll receive the maximum payment of $500.00. You understand and agree that Ship a Car Direct, by offering this 'Damage Free Guarantee', does not accept any liability for damages occurring before, during or after transport. Further, in order to request this Service from Ship a Car Direct, you must first file a claim with Carrier and Carrier's insurance company and be denied. Also, you need to provide documentation that the Carrier claim was denied and that you filed a claim with your own insurance carrier, that repair work was actually performed and what the actual deductible amount is that was paid out-of-pocket, up to the Five Hundred Dollar ($500.00) maximum allowance. This additional Extra Service is only available to you if you have paid Ship a Car Direct's non-discounted Service Fee/Deposit of Two Hundred Fifty Dollars ($250.00) per vehicle. Ship a Car Direct may withdraw this Extra Service at any time, without further notice. This Agreement is governed by the laws of the State of Colorado. You agree that any legal action arising out of this Agreement must be filed in a court within Boulder County, Colorado and that Ship a Car Direct's liability is limited only to the amount of Ship a Car Direct's Service Fee. You hereby submit to the jurisdiction of such court and waive any right to jurisdiction in any other location. This Agreement constitutes the entire agreement between the parties and supersedes any communications or previous agreements with respect to the subject matter of this Agreement. There are no written or oral understandings directly or indirectly related to this Agreement that are not set forth herein. No change can be made to this Agreement other than in writing and signed by both you and a Corporate Officer of Ship a Car Direct.